Who is Jyn Erso? Jyn is a young woman who was born into a life of comfortable wealth, but her father turned his back on wealth for the sake of ideals, and then turned to abject slavery for the sake of saving her life. Jyn’s father’s choices have put her into a prison of an identity, and eventually a literal prison, and she has chafed against that imprisonment since she was a young girl. What does Jyn want? Mostly she just wants “to survive,” which, in her case, means “staying out of the way.” But life is hard for those not on board with the Empire’s takeover of the galaxy, and without a family, without the comfort and wealth she was born into, she has no choice but to play the role of “criminal.” But she is not, at heart, a criminal. At heart she is still her daddy’s little girl, who plays with stormtrooper dolls and is protected from the harsh realities of the world by his large shadow. When her family is taken away from her, she is adopted by Saw Gerrara, a radical rebel, until she is abandoned by him as well. Twice orphaned, Jyn has learned not to trust anyone, least of all anyone who presents themselves as an authority figure. So Jyn yearns to be back under her father’s protection, to be part of a family again, while she plays the role of a criminal on her way to becoming an idealist. Many have said that her motivations are murky and poorly motivated, but it’s clear to me that she teams up with the rebels (whom she sees as just another set of authority figures and does not trust) just to get the opportunity to be reunited with her father. When her father dies in that reunion, she finally sees the reasons for his abandonment and finds her new, real (and last) family, not with the Rebellion but with the ragtag team of Rogue One. Her embrace with Cassian Andor on the beaches of Scarif is great storytelling, as Jyn becomes her own person, able to move on from the trauma of her childhood and toward a new life with Cassian, in the precise moment of her death. 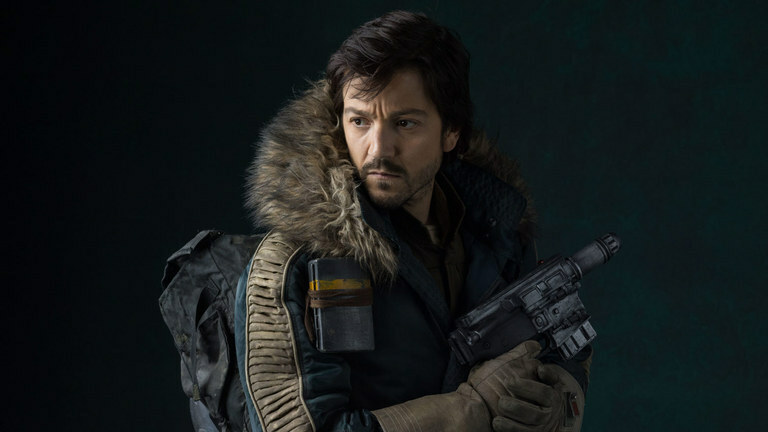 Who is Cassian Andor? Cassian is a rebel spy, one of many, it turns out, whose role it is to gather secrets and murder innocent people for the sake of a cause. It’s not what he wants, it’s the role society demands he play. He’s not James Bond, gallivanting around the galaxy blasting bad guys and bedding buxom wenches; he’s isolated and guilt-ridden, he’s paid a steep price for his life choices. What does Cassian want? His “actable” goal is “to capture the plans to the Death Star,” and his boss at the rebel base gives him a secondary goal of “to assassinate Jyn’s father.” But his emotional goal is “to serve the cause.” His conflict arises when he finds that his emotional attachment to Jyn prevents him from serving the cause, that is, following orders, “being a good soldier.” Jyn is correct when she tells him he’s no better than a Stormtrooper if all he does is follow orders without possessing a moral code. Cassian, like Jyn, has never had a choice about what he wants to do with his life. The Empire has taken everything from him from a young age and turned him into a monster. A spy, by the very nature of the job, wears a mask and deals in duplicity, and Cassian, at this point of his life, may not even know “who he really is” anymore, only that he must play a role. 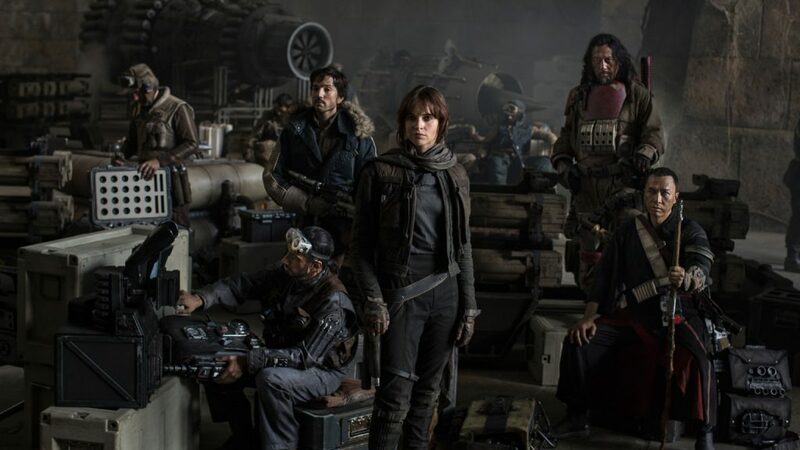 As he moves through the narrative of Rogue One, he is a conflicted assassin who finds, in Jyn, an emotional rock to hang onto as the tide of war pulls him into an amoral sea. That’s all for now, I will discuss the other characters in subsequent posts. Wonderful breakdown! Can’t wait to see the rest! I didn’t really feel any emotional intensity between Cassian and Jyn until they were clinging to the data stack with Krennic shooting at them; I think that’s a consequence of the fragmentary feeling I got from the first half of the movie, where it kept bouncing me around so fast I had no time to develop an attachment to anybody. When we got to the raid on Scarif, though, I was hooked — especially as it became apparent that the movie was going to stick to the logical consequences of its premise and treat that mission as a suicide run, instead of having a few side characters die and everybody else goes home happy. Seeing the complex side of the Rebellion and the people involved in it was great; I just felt like it took too long for the focus to cohere for me to really love it. Foz Meadows does a better job than I did of articulating what I mean by things feeling “thin.” I wouldn’t be surprised at all if the context I wanted is somewhere on the cutting room floor, or relegated to tie-in media. > The Empire has taken everything from [Cassian] from a young age and turned him into a monster. Funny. I read it the other way. I felt that Cassian’s rottenness was the fruit of a rebellion without dignity or hope, which was restored by the decency of Jyn (and her father) — for rebellion and Cassian both.